Anisong legends and rising stars will electrify the stage at the Anime Festival Asia Singapore 2016 I Love Anisong concert from 25 ~ 27 November 2016 at Suntec Convention & Exhibition Centre. Japanese popular culture lovers can bask in the catchy tunes featured in their favourite animation series and more! BUY TICKETS NOW! AUTOGRAPH BALLOT RESULTS! » Early bird 3-day VIP package – SGD 398. » All remaining ticket tiers. » 3-day VIP package price – SGD 428. HOME MADE KAZOKU is a HIP HOP group comprising of the three members MICRO (MC), KURO (MC) and U-ICHI (DJ). They met during their university days in Aichi Prefecture and formed the group in 1996. They had their major debut in 2004 with smash hits including ‘Thank You! !’, ‘Shounen Heart’, ‘Serbia no Tsubomi’ which enjoyed great popularity. In 2009, they achieved their dream with a successful solo live concert at the prestigious Budoukan. In 2016, the 10,000-audience, large-scale outdoor music festival “KAZOKU FES” was not only held for the 6th time, it was the first time which a second day was added to great success! “Though not being related by blood, we’re family by the music we create” – through this concept, they have found fans all throughout Japan. 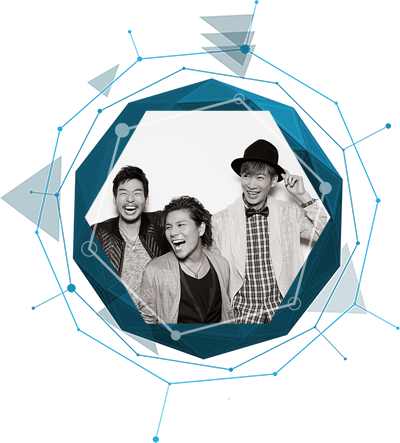 Through their signature song ‘HOME SWEET HOME’, fans can feel the love they have for their hometown prefecture. 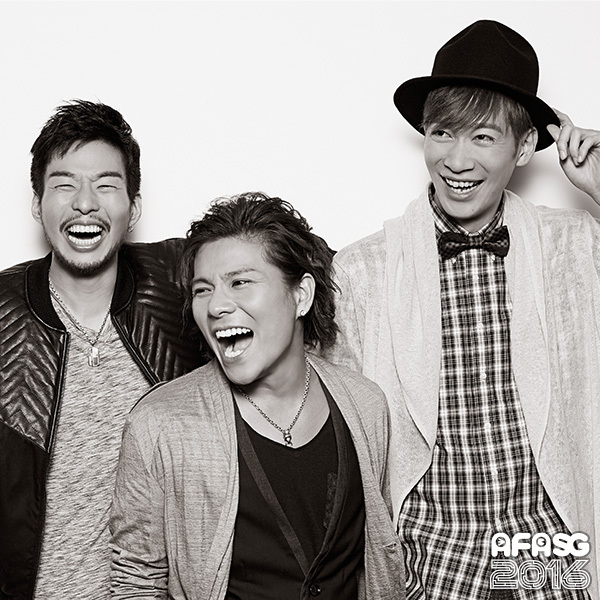 They have also been appointed the title ‘LOVE AICHI SUPPORTERS ~Aichi Music Ambassador’ from the prefecture themselves. Not just within their own country, the charismatic group has even extended their overseas performances to countries including America, Taiwan and Brazil. MEET HOME MADE KAZOKU AT AFASG 2016! BACK TO TOP TICKET INFO BUY TICKETS NOW! She started her activities as a vocalist of “I’ve”, the music creator team from Hokkaido, in 2000. She made her major debut with the 1st album “HANE –hane-“ in 2004, which ranked in at 7th in Oricon. She has sung a theme song for many TV animations, such as “Hayate no Gotoku!” from “Hayate the Combat Butler”, “being” from “Shakugan no Shana” and “→unfinished→” from “Accel World”. Her activities were expanded to other fields such as movies and games. She sang a theme song for the movie “Real Onigokko” as well. KOTOKO also makes music and writes lyrics. She has written “SHOOT!” as a theme song for “RO-KYU-BU!” and “sign” for “Ano Natsuga Matteru”. She commemorated her 10th anniversary in 2014, and achieved huge success with 47 stops on her nationwide concert tour. Furthermore, she is also active overseas, having been on an Asian concert tour before. 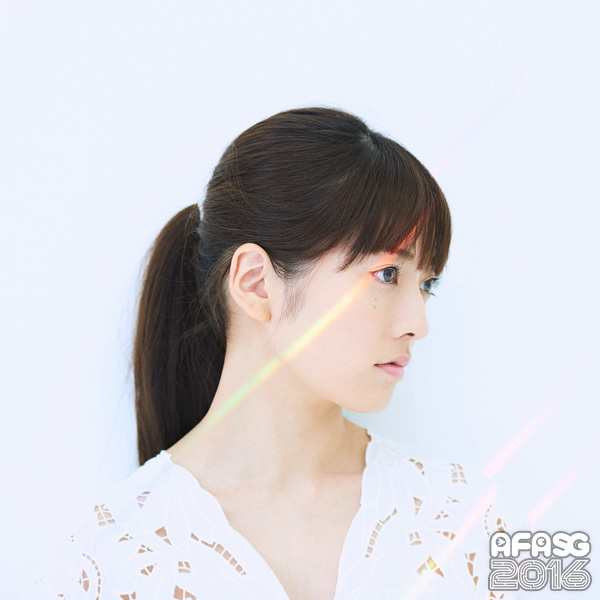 MEET KOTOKO AT AFASG 2016! 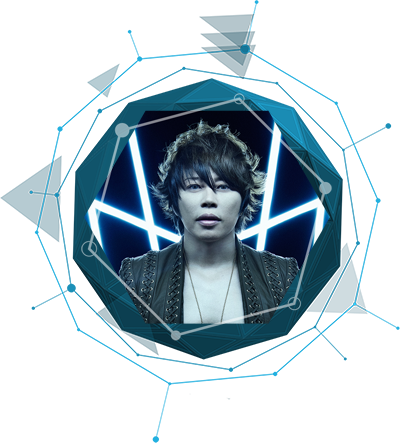 Born September 19th, 1970 in Shiga prefecture, Takanori Nishikawa debuted in May 1996, with the song “Dokusai –monopolize-“, as T.M.Revolution, his solo project. He has established his reputation with his catchy tracks, polished and fascinating concerts, and overwhelming live performances, while he consecutively released monstrous hits such as “HIGH PRESSURE”, “HOT LIMIT”, “WHITE BREATH”, and “INVOKE”. Many singles have been picked up for theme of major animations and games including “Mobile Suit Gundam”, and “Sengoku BASARA”. Since his debut, T.M.R. has built global fan base and reputation among Japanimation fans, have performed in the US, Taiwan, Singapore, Indonesia along with his release of albums worldwide. He was appointed as the first ‘Goodwill Ambassador for Hometown Shiga’, and has been hosting Shiga prefecture’s first major outdoor annual music festival, ‘Inazuma Rock Festival’, with cooperation from local authorities. In 2013, his collaboration with Nana Mizuki attracted tremendous interest and great response, being called “the most powerful and revolutionary” match. Their collaborated singles, “Preserved Roses” and “Kakumei Dualism”, both became enormous hits. In the past, he has participated in the NHK Kohaku Uta Gassen 5 times, which proves his status as a nationally popular artist. 2016 marks his 20th Anniversary since debut and he looks forward to making another great leap forward. 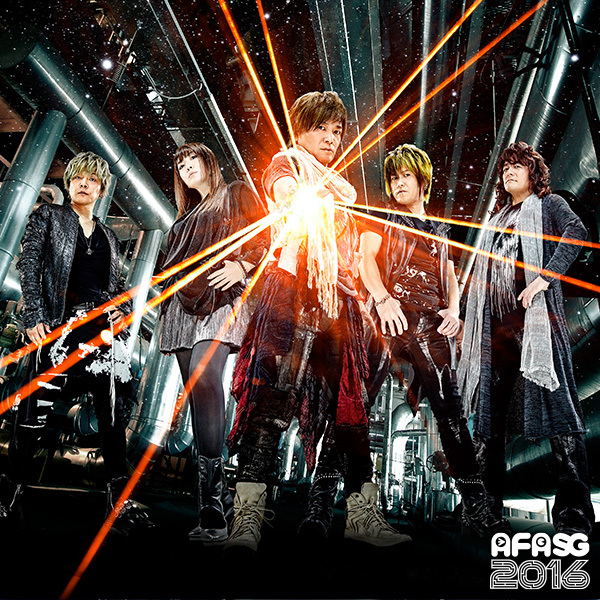 MEET T.M.REVOLUTION AT AFASG 2016! JAM Project was launched in 2000 by powerful singers representing the anisong industry. The members came together with the same desire to create the appropriate theme songs for highly evolved Japanese animation. They share the same intention to make the anisong culture shine. With this purpose, JAM Project built up a unique position in the anisong industry. Most importantly, the “power” they have in their voices distinguishes them from other singers. Each member is involved in the entire song creation process. In order to strengthen the connection between animation and theme song, they start by meeting with animation producers and directors and go on to directing the creative process. They are performers and producers at the same time. All members also have very active solo work to stimulate each other. With each member possessing different characteristics to gather as one, JAM Project is able to create one-of-a-kind theme songs. They have released more than 200 songs to date. All of the songs are powerful and spiritual, and can be seen as “Real Theme Songs”. In 2008, they started their first world tour “No Border” and performed in 10 cities in 8 countries. The tour included Taiwan, Brazil, United States, Korea, China (Beijing, Shanghai, Hong Kong), Mexico, France and Spain. After the tour, they gained attention worldwide. They then attended numerous anime conventions held in countries such as Singapore, Thailand, San Marino and Germany. They also performed at Expo 2010 Shanghai China and Expo 2012 Yeosu Korea, representing Japanese culture through anisongs. In year 2012, they held a South America tour and brought their exclusive band members for all 4 stops. The tour was a success and they were able to present authentic anisong concerts overseas. In 2009, JAM Project held a sold-out concert at Budokan. They then went on a nation-wide tour, performing at countless venues such as Osaka-Jo Hall, Yokohama Arena, including 2 days in Budokan. JAM Project is supported by fans of all ages and genders. They have been touring worldwide since July 2016 under the tour title “AREA Z”. Anisong will cross many borders, including countries and music genres. Just like the anime heroes, they strive to make dreams come true with their performances. MEET JAM PROJECT AT AFASG 2016! Born on 5th November 1996. 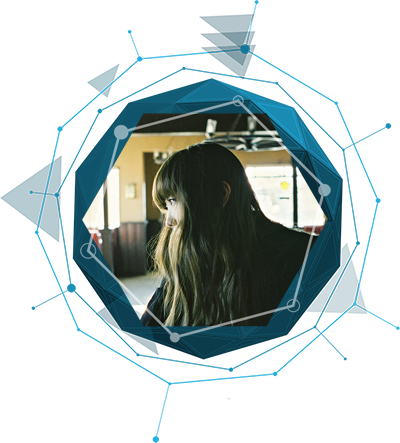 After winning the nationwide Animax Anisong Grand Prix competition, she made her debut at the young age of 15 with her first single “Choir Jail” in 2012 with lyrics produced by Aki Hata. 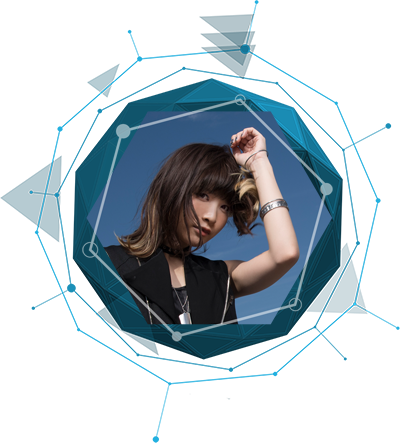 Since her debut, she has performed for five years in a row at the largest Anisong event, Animelo Summer Live. She has performed the theme songs for many TV Anime series, including “This game” for the series “No Game, No Life” and “Redo” for the series “Re:Zero -Starting Life in Another World-“. “This game” attained 2nd place on the Billboard JAPAN Hot Animation charts in the first week of its release. For her 8th single, “Absolute Soul”, she collaborated with Masami Okui, a legend in the world of Anisong. She is in the midst of her 20-show, 2nd solo tour, with the final show coinciding with her 20th birthday. 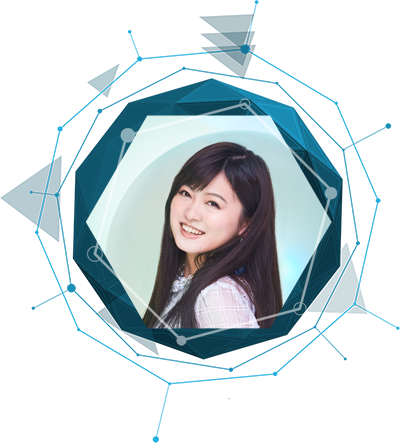 With a brilliant voice that continues to charm fans everywhere, Konomi Suzuki is one ever-evolving Anisong singer to look out for! MEET KONOMI SUZUKI AT AFASG 2016! Minori Chihara is a Voice Actress-Artiste who was born on the 18th of November in Tochigi Prefecture. In 2004, she made her voice actor debut playing the character Aya Natsume in the anime series ‘Tenjou Tenge’. In the same year, she also made her singing debut with the release of her first album ‘HEROINE’. While steadily doing performances at live-houses and the roads of Akihabara, Minori Chihara started gaining tremendous attention when she got the role of Yuki Nagato in the popular anime ‘The Melancholy of Haruhi Suzumiya’ in April 2006. Following which, she made appearances in numerous new productions, and also furthered her singing career with Lantis. While she normally has a calm demeanor and a bright smile, as a singer, her sophisticated image and her singing voice creates a gap that has endeared her to many fans. Since the inception of her original blog in 2004, she has made it a point to update it everyday to connect better with her fans, with over 3000 to date. Being able to see her personality through her posts, it serves as an important role in connecting her with fans. From a young child to an adult woman she has portrayed roles of various personalities, showing off a wide range of skills through the various works. Even as an artiste, she has successfully performed at large, prestigious locations such as the Nippon Budokan and Saitama Super Arena. She has become a prominent figure and role model for others in the same industry to look up to. 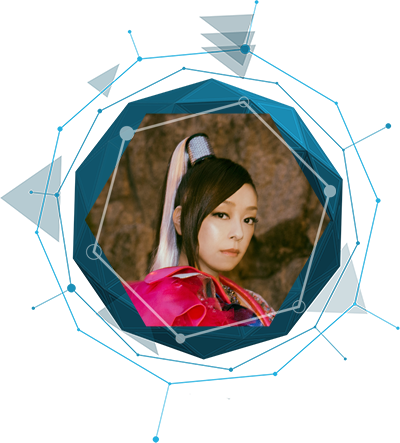 MEET MINORI CHIHARA AT AFASG 2016! Wake Up, Girls！is a voice actress unit that was born from the movie and TV anime series of the same name in 2014. They were also involved in the follow up movies that were split into 2 parts in 2015. The story revolves among 7 young girls living in Sendai, coming together to form the idol group ‘Wake Up, Girls！’. While training together to improve themselves, the group aims to be top idols. Uniquely, the 7 cast members (Mayu Yoshioka, Airi Eino, Minami Tanaka, Yoshino Aoyama, Nanami Yamashita, Kaya Okuno, Miyu Takagi) are also active as the voice actress unit Wake Up, Girls！in the real world. They welcomed their 3rd anniversary with the final performance on their 3rdLIVETOUR on 28th of August 2016. With 14 performances across 7 concert venues, they have managed to attract over 15,000 fans! MEET WAKE UP, GIRLS！ AT AFASG 2016! 2016 : Her 9th single “ninelie” featuring chelly who is a vocalist of EGOIST was released on May 11th. This song is an ending theme for “KABANERI OF THE IRON FORTRESS” on NOITAMINA in Fuji TV network and written and produced by Hiroyuki Sawano who created the soundtrack for this Anime. 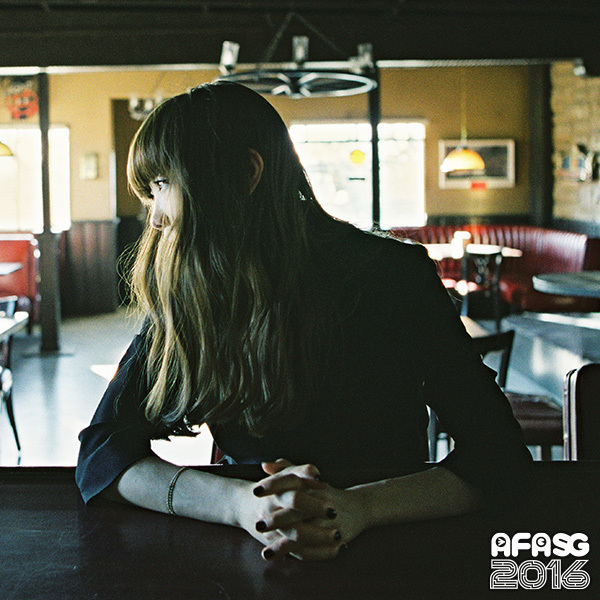 MEET AIMER AT AFASG 2016! In March 2015, Alisa Takigawa debuted with ‘Season’, the ending theme of TV anime ‘The Seven Deadly Sins’. In November of the same year, she released ‘Sayonara no Yukue’, the 3rd single of ‘Owarimonogatari’ which gained tremendous response and turned out to be a smash hit. The video has gained over 190,000 views on YouTube and her 2015 activities won her the ‘30th Japan Golden Disc Award’ Newcomer Prize. In June 2016, during her first Tokyo-Nagoya-Osaka solo live tour, one of the stops, at the famous Ebisu LIQUIDROOM, was fully SOLD OUT. 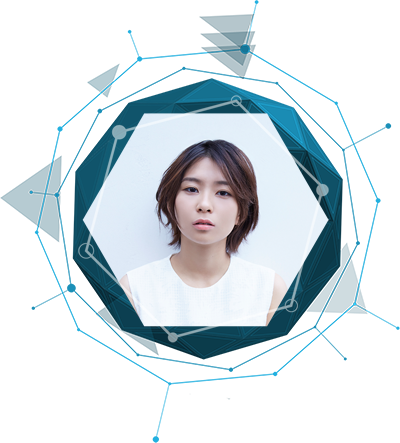 Since her debut, her rising popularity as a singer-songwriter has only continued to increase greatly. In September 2016, she will be releasing ‘Iroasenai Hitomi’, the new ending theme of the anticipated second season of TV anime ‘The Seven Deadly Sins: Signs of Holy War’. She will be releasing her much-anticipated first album ‘at film.’ on the November 2, 2016! 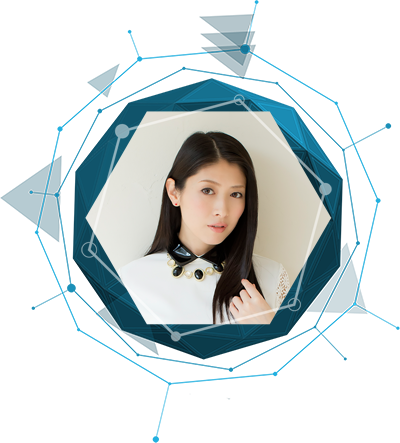 MEET ALISA TAKIGAWA AT AFASG 2016! Ami Wajima was born on December 29, in Kutchan Town, Hokkaido Prefecture. She always had a complex about her vocal ability ever since she was little, but had a strong desire to become a singer, making full use of her voice through song. After graduating from middle school, she moved to Sapporo for vocal lessons while working on her studies. 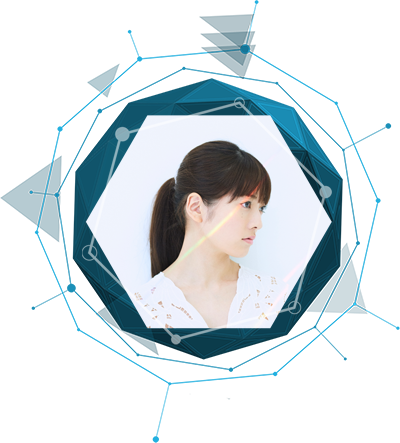 In 2016, she emerged as the winner of the Horipro x Pony Canyon Next Generation Anisong Singer Audition, out of 10,041 candidates. in May, she made her major debut with ‘Gensou Drive’, the opening theme for the TV Anime ‘Mayoiga -The Lost Village-’. She has released her second single ‘Eien Loop’, the new ending theme for the TV Anime ‘Kuromukuro’ which began airing in July. Participating in numerous events both within Japan and overseas, Ami Wajima is the New Generation Anisong Singer to look out for today! MEET AMI WAJIMA AT AFASG 2016! 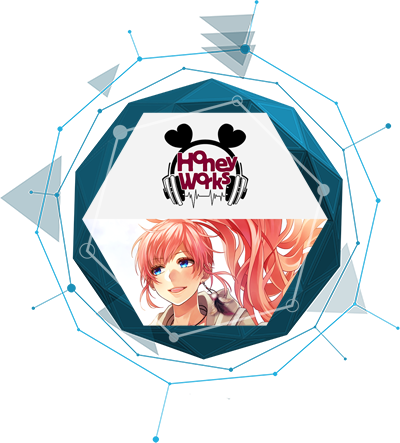 HoneyWorks is a creator unit that has garnered over 200 million combined views on video sharing sites such as Nico Nico Douga and Youtube. Members include composers Gom and shito, illustrator Yamako, and supporting members Oji (Pirate), Mogeratta, kororu, ziro, cake and AtsuyuK!. Representative works include ‘SukiKirai’, ‘Hatsukoi no E Hon’, ‘Kokuhaku Yokou Renshuu’, etc. Their melodies are love-related and filled with youth, such that they are said to play a positive-rock style of music. 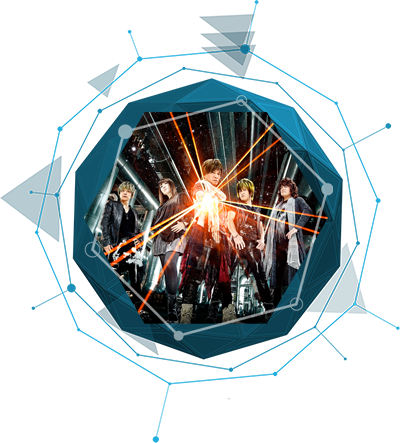 On 29th January 2014, they made their major debut with the release of their Vocaloid Best Album ‘Zutto Mae Kara Suki Deshita’, which even reached 4th place on the Oricon Weekly Charts. 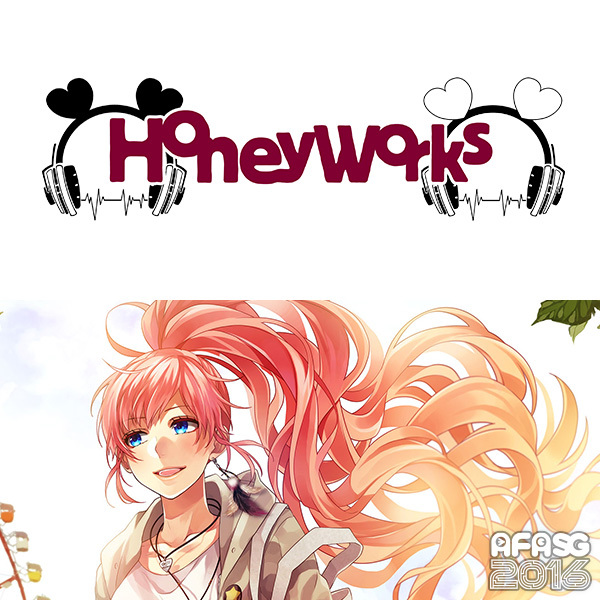 In May 2014, the formation of ‘CHiCO with HoneyWorks’ was announced. In 26th November 2014, they released their second major label album ‘Boku Jya Dame Desuka?’, which reached 2nd place on the Oricon Daily Charts. HoneyWorks was awarded the Amazon Ranking First Prize for the first half of 2015. The 6 novels that were created based off their music was also a best-seller that sold over 1.2 million copies combined. July 2015 saw the much-anticipated release of their third album, which featured guest vocals from sana. In April 2016, HoneyWorks’s songs were used in the original anime movie ‘I’ve always liked you -Confess Your Love Committee-’ which was shown in theatres all over the country. The first week of its premiere received 8th place in the Movie Box Office Rankings and a sequel of the movie is scheduled for release in December. CHiCO, is the winner of the Vocaloid and Anisong audition Utakatsu! organised by Sony Music. Together with HoneyWorks, the Creator Team that is the subject of conversation and responsible for over 100 million online views, the collaboration unit CHiCO with HoneyWorks is formed! The music videos have been viewed over 100 million times, and in November 2015, their debut album “Sekai ha i ni Michiteiru” was a smash hit. They sold out their first hall solo concert at the Nakano Sun Plaza, and toured live houses in Nagoya, Osaka, Fukuoka and Tokyo in the summer, as well as making their first ever summer festival appearance at “Summer Sonic 2016”. On 14th September 2016, they released their fifth single ‘Canele & Wolf’! MEET HONEYWORKS / CHICO WITH HONEYWORKS AT AFASG 2016! May’n ASIA TOUR 2017 OVER∞EASY is scheduled to kick off in January 2017! MEET MAY’N AT AFASG 2016!